You need to understand exactly how the algorithm works. Calculate the exact proportion with your TP, SL, Recovery/Hedge zone and the multiplication factor. Everything must be mathematically correct so that the algorithm makes you come out in favor even if you make a wrong turn in the market. The only phases of "Market Ranges" are really avoided, as to be able to close trades we need volatility. The risk would be to stay too long ranging phase. These ranging phases are dangerous if you are using a multiplication factor of 1.5x with a TP ratio smaller than 1/3. In a case like this, you better either take this loss intelligently, or limit the number of reverse trades, or simply cut the next stop order so that no more reverse order assets. All this, of course, combined with a smart money management. 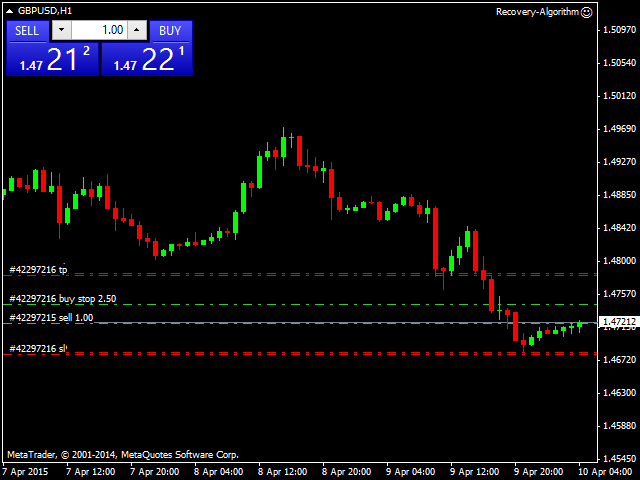 You open a manual trade of 1 lot with a TP 40 pips and SL 20 pips for example. Then the Recovery algorithm will need a Recovery/Hedge zone of ​​20 pips and for manual trade TP 40 pips, SL 60 pips + spread 2 pips= 62 pips. So the algorithm will automatically place a stop order in the opposite direction of the manual trade, with the same TP 40 pips and SL 62 pips, for that the mathematical proportions are correct. In addition, it will use an x2 multiplier. With a Smart management you are the winner of this Trade. With a 1.5x factor, you would have a loss of 2 pips. But if you use a 1/3 ratio for your trades, with a multiplier of only 1.5x, this will give with 1 lot: Recovery zone 20 pips, trade manual TP 60 pips. If the TP is hit, it will be 600. But if it goes to the other side and touches the stop order reverse and TP, this will make you a loss of -800; a profit of +900 and thus a net difference of +100. If this description seems unconvincing, but you are interested and want to understand how my algorithm works, I invite you to see my screenshot. The Recovery Zone is clearly explained. It is in this way that my mathematical Recovery Algorithm works. Best to use on a VPS. Only chart symbol - True (the EA will work in the selected currency pair on 1 chart and 1 trade). If false the EA will work on all open trades with the same settings but only one trade per currency pair will be possible. Max Slippage (in points) - default 3. Alert &Sound on open and close - if true you will have a popup alert with a sound alert. Hedge Distance pips - 30 pips default (this is the recovery zone). Hedge lot multiplication - 1 default (best is 1.5, 2, 2.5 or more with your own risk management). Max reverse enabled - True/false. Max reverse after manual entry - 5 if true the EA will open max 5 reverse trade after the manual trade and not more. 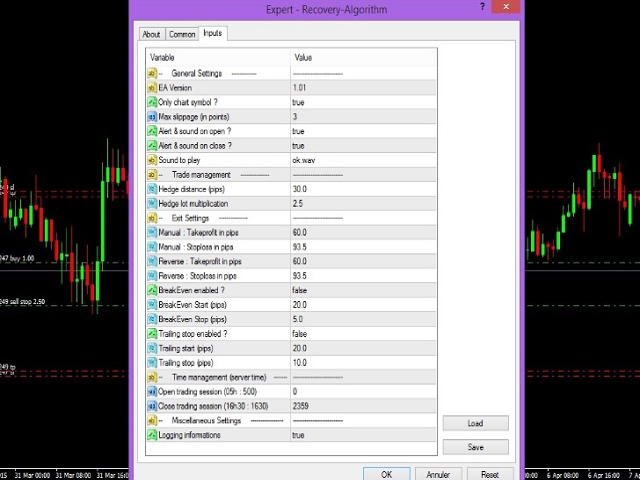 Manual: take profit in pips - 60 default max pips win. 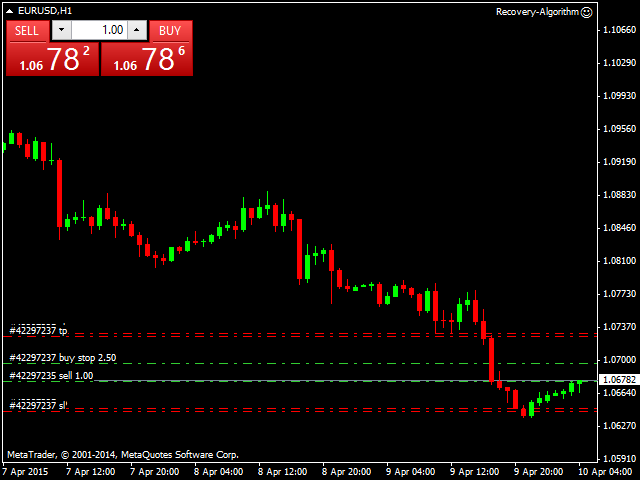 Manual: stop loss in pips – 90 default max lose pips. 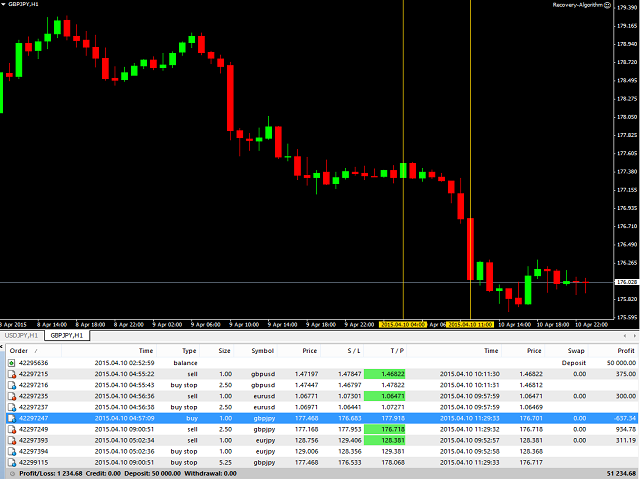 Reverse: take profit in pips – max pips win 60 default. 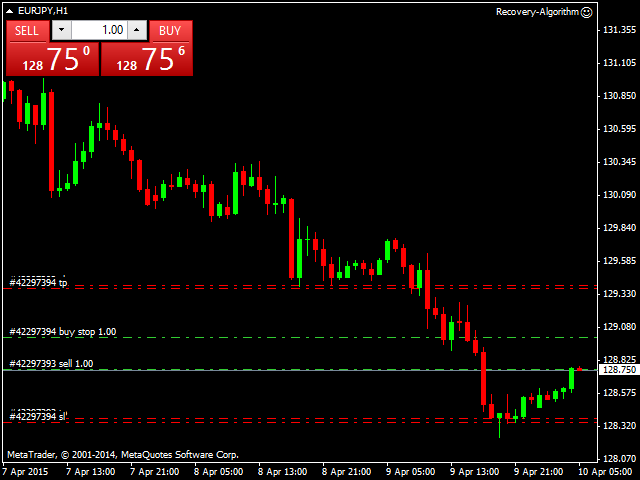 Reverse: stop loss in pips - 90 default. Trailing stop enabled - if true the EA will move the stop loss from the manual trade to the current price to lock profits. Open trading session - must be 0. Close trading session - must be 2359. Sami Derti is a passionate trader that have studied different trading courses with success and have been a student trader for more than 6 years to finally become a professional trader. An excellent tool that helps you get benefits even if the price goes against you, the idea is to have a good risk management and avoid the times when the market is in range, I recommend using TF 1H.